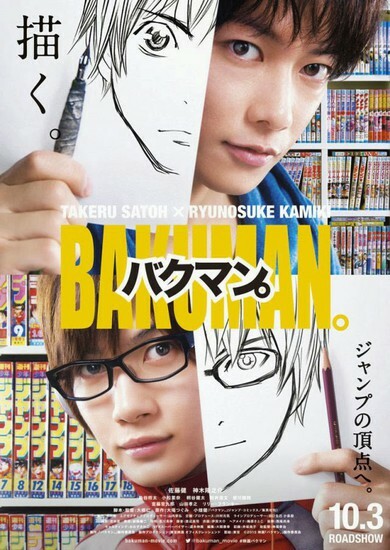 The official website for the live-action film adaptation of Tsugumi Ohba and Takeshi Obata’s Bakuman manga recently released a trailer for the movie which will be shown in Japan on October 3. Takeru Satoh and Ryunosuke Kamiki will portray the characters of Moritaka Mashiro and Akito Takagi, respectively. Kenta Kiritani (Shinta Fukuda), Hirofumi Arai (Kazuya Hiramaru), Sarutoki Minagawa (Takurō Nakai) and Takayuki Yamada (Akira Hattori) will join Satoh and Kamiki in the movie. A 30-second teaser was released this week which features the narration of One Piece’s Luffy’s voice actress Mayumi Tanaka. The video was streamed a few days after stills from the film showing Satoh and Kamiki in the office of Shueisha’s Weekly Shonen Jump were also uploaded. Posted in Movie and tagged Akito Takagi, Bakuman, Bakuman live-action film, Bakuman stills, Bakuman trailer, Hirofumi Arai (Kazuya Hiramaru), Kankuro Kudo as Tarō Kawaguchi, Kenta Kiritani (Shinta Fukuda), Lily Franky as Sasaki, live-action film adaptation, Moritaka Mashiro, movie, Nana Komatsu as Miho Azuki, Ryunosuke Kamiki, Sarutoki Minagawa (Takurō Nakai), Shōta Sometani as Eiji Niizuma, Takayuki Yamada (Akira Hattori), Takeru Satoh. Bookmark the permalink. The anime adaptation of Haruichi Furudate’s Haikyuu! manga was previously confirmed to air its second season this year, and Shueisha recently reported that it will begin its broadcast this fall! In addition to that, it will also have two anime compilation films that will also be released this year. The first movie, Gekijō-ban Haikyu!! Owari to Hajimari ( Haikyu!! the Movie: Ending and Beginning), which will open on July 3, will be followed by the second installment titled Gekijō-ban Haikyu!! Shōsha to Haisha ( Haikyu!! the Movie: Winners and Losers), which will be screened on September 18. This year’s 17th issue of Shueisha’s Weekly Shonen Jump magazine unveiled the news. A stage play adaptation, which will begin at the AiiA 2.5 Theater Tokyo in November this year, is also confirmed to take place. The “hyper projection performance” will then travel to Osaka’s Theater Brava! in late November, and finally to the Tagajō Shimin Kaikan’s Great Hall at Miyagi’s Tagajo City Cultural Center in early December. More details will be announced soon regarding the movies and the stage play’s tickets. Check out the film’s website for more info! Posted in Anime, Movie, News, Stage Play and tagged anime, Gekijō-ban Haikyu!! Owari to Hajimari, Gekijō-ban Haikyu!! Shōsha to Haisha, Haikyu!! the Movie: Ending and Beginning, Haikyu!! the Movie: Winners and Losers, Haikyuu anime film compilation, Haikyuu movie, Haikyuu stage play, Haikyuu! anime season 2, Haikyuu! !, Haruichi Furudate, movie, stage play. Bookmark the permalink. Even before the ongoing anime adaptation series of Yūsei Matsui’s Assassination Classroom manga is over, news about its second season has already been confirmed! The announcement was made by the staff of the live-action film adaptation of the manga at a stage event at TOHO Cinemas Roppongi Hills in Tokyo on Friday. 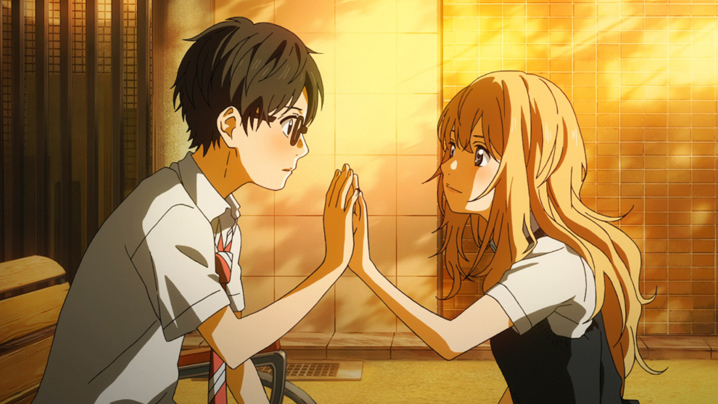 The anime series premiered in January this year and is also scheduled to have 22 episodes. A live-action film adaptation was also screened in Japan on March 21, 2015, and a sequel is also confirmed to take place. 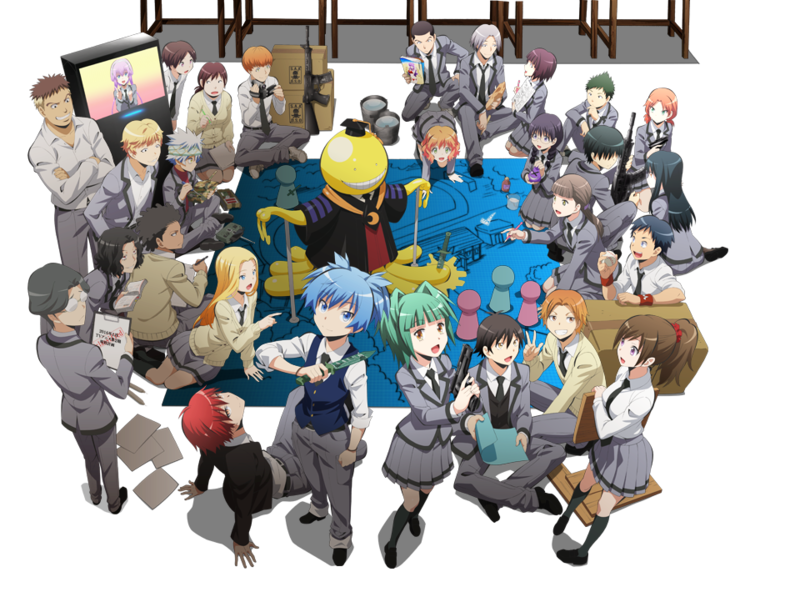 The movie, called Ansatsu Kyōshitsu ~Sotsugyō-hen~ (Assassination Classroom ~Graduation Edition~) will be shown in 2016. Posted in Anime, Movie and tagged anime, Ansatsu Kyōshitsu ~Sotsugyō-hen, Ansatsu Kyōshitsu ~Sotsugyō-hen~ (Assassination Classroom ~Graduation Edition~, Assassination Classroom, Assassination Classroom live-action film sequel, Assassination Classroom season 2, live-action film, live-action film adaptation, movie, Yūsei Matsui. Bookmark the permalink.